How to Rediscover Your Mission? Years ago I ran across this parable, and it had an enormous impact on my ministry. out day or night tirelessly searching for the lost. those saved from the sea. and furnished it as a sort of club. lifesaving missions, so they hired lifeboat crews to do this work. be cleaned up before coming inside. being unpleasant and a hindrance to the regular pattern of the organization. and pointed out that they were still called a lifesaving station. another lifesaving station was founded. This illustration identifies a troubling trend in far too many congregations. Congregations find themselves often lost and searching for the answers to become relevant again. The decline is slow. At first, people don’t seem to notice that the mission focus has changed. The members just ease into a ministry pattern of complacency. In the beginning, there was high energy and motivation. Members came to gatherings full of fresh ideas to reach their community. No idea seemed implausible or impossible. After years of struggling to find a permanent home this new fledgling community settles in on the place, you will call home. You start the building project with a groundbreaking ceremony, and you are off and running. You start the building project with a groundbreaking ceremony, and you are off and running. After about a year and cost overruns the building is in place. Now due to the mortgage, the ministry is saddled with, the focus changes to maintaining the building that once brought so a sense of achievement. You have accomplished your goal but at what cost? Did the mission get left behind? As you look at other churches who are growing in attendance, and you wonder if they have somehow watered down the message. Does it have to be an either/or? Can’t the church, guard its doctrine and practice while at the same time keeping its eyes focused on those who are outside of God’s grace? Continue to reach out to those who may speak a different language, have a different skin color? An important fact about mission work is that it gets messy. The people who come to our churches outside of God’s grace are messy. Their lives are messy. Their past baggage and past experiences are messy. Someone once told me the church should be a hospital for sick souls. We should consider reorganizing our church meetings. What if we devoted as much time to planning and caring for those outside of God’s grace, you know those messy ones as we care for the sheep that pay the bills. It is a delicate balance. But that is the great command of Jesus along with the great charge. The great command is: “Go and Make Disciples.” The great charge is “Feed my sheep.” It is not an either/or but a both/and. In your monthly leadership meetings try to discern where God is working in your community and how you can keep messy hurting people in the monthly agenda of your church meetings. Below are some questions to get holy brainstorming going on the opportunities God has placed at your doorstep. Where do they find community? Where is their lifesaving station? What can we do as a body of believers to address their pain and show them mercy? What ministries do have budgeted already that could be a place to invite those not a part of our tribe too? And once they are there how to we remain connected to them? What a great illustration of what has happened to the church over the years. I found this on a fellow blogger’s site. Thought you might enjoy it as well. Wow! Simply awesome write up and so true. It’s unfortunate when we lose sight of the real mission God has set us on, without considering how messy we all are as humans. We’re meant to consider everyone and be real and empathetic–because we aren’t perfect either–while still encouraging others how truly great God can be. 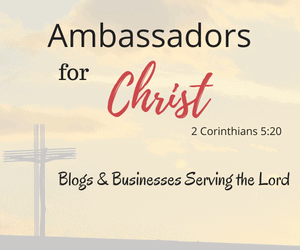 Also as a new faith driven blogger myself, I wanted to extend a heartfelt “Hello”, and say I really appreciate the content here! Sometimes we do lose our path and do things differently. This is indeed a great illustration and I believe that every one is valuable to God. Very insightful and leaves much for contemplation! Thank you sincerely! Thank you Dawn for reading and giving great input.